… for highly sensitive adults from dysfunctional families. The manual for life you were supposed to get from your parents got lost in the post. As a result, you’ve had to make up your own rules for success + happiness. Finally, there’s a course designed to give you tools you need. 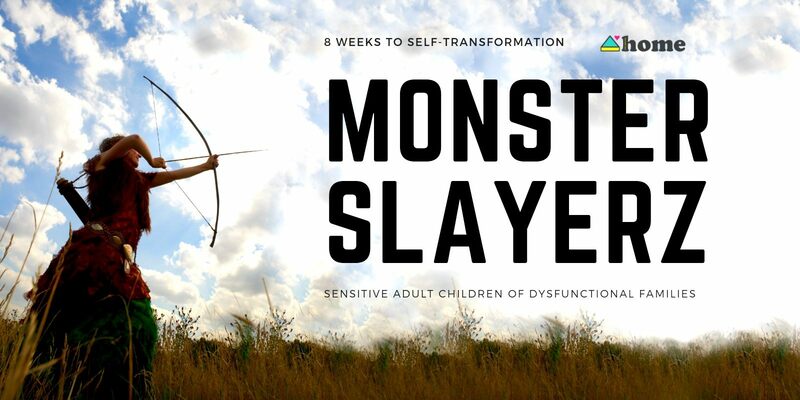 So you can slay your inner monsters + conquer your inner world. … that is safe, time-effective – and fun! • A new foundation for ongoing peace, happiness + success. • An extensive toolkit for self-healing. • Numerous strategies for dealing with challenging situations + people. • Genuine connection to yourself, source + others. • Mindset + self-identity shift, awareness + education. • Why care for yourself (self-care) is crucial for growth. • The hidden roles + constellations that sabotage your success. • Beliefs that cripple your self worth (– how to find + clear them). • The true meaning of boundaries as a HSP (+ how to have them). • Assertive Communication – Strategies, strengths + limitations. • How to process emotions safely, heal your wounds + learn to trust your intuition again. • Planning + Manifestation: Why + how you should look to the future with optimism + hope. • Connection: How to create it with yourself, others + the universe. Is Monster Slayerz for you? • You are a highly sensitive adult child of a dysfunctional family. • You tend to be overly responsible + conscientious. • You get by without the full support of your birth family. • You take care of other people’s needs, yet sometimes feel out of touch with your own. • You crave balanced, supportive relationships with give + take. • You somehow attract the wrong people. Either they are needy, dependent, drive you crazy, or you do all the emotional work in the relationship. • Over recent years, you’ve drifted from family or old friends, or feel unsure how to have closer connections. • You doubt yourself + struggle to believe in your strengths. • You find it hard to express your feelings + needs clearly. • You find it difficult to set or maintain boundaries. • Old blocks, fears, doubts + stories sabotage happiness + success. • You want to break patterns of burnout, stress, anxiety + overwhelm. • You are committed to creating wellbeing + happiness. • You are materially comfortable + emotionally stable. • You have a basic support system in place + know where to get extra help/support when you need it. Next live dates: October 2019. Replays of this 8 week programme are exclusively available to Home School + Community members throughout the year. 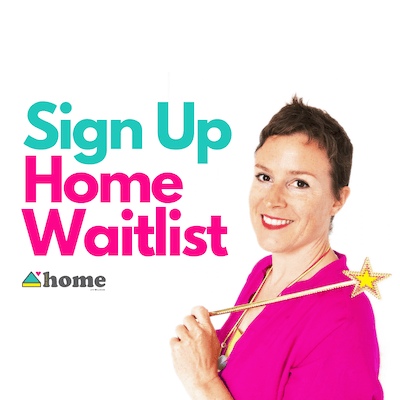 Or, join the wait list below! A safe online space for strong sensitives to transform + connect! Get full details, plus my weekly Good Vibes! What Else Home Members Say!